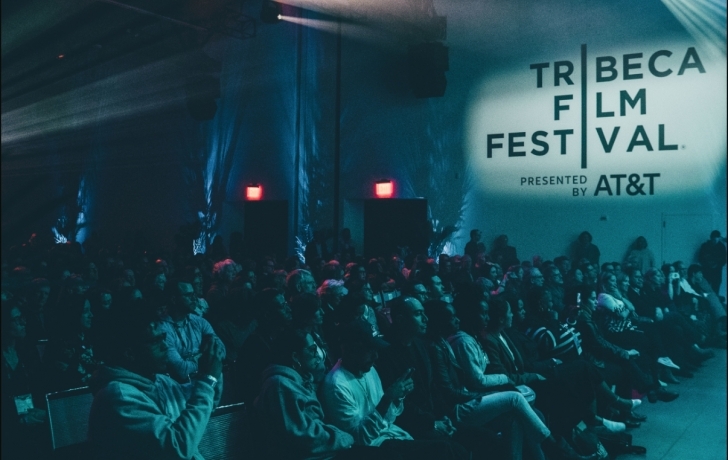 The Tribeca Film Festival returns April 24 to May 5 for its 18th year, with 103 feature-length movies, half of those in competiton directed by women. That lineup includes 81 world premieres, three international premieres, eight North American premieres, and 10 New York premieres. Sixty-three shorts, nearly half of them world premieres, will be in competition. Movies, of course, are not all the festival offers. There is the “Virtual Arcade” where more than 30 “immersive experiences” will be debuted. And Tribeca Talks features discussions with entertainment notables such as Sarah Silverman, Denis Leary and Michael J. Fox, and reunion appearances with Robert De Niro and Martin Scorsese (“Taxi Driver” and “Goodfellas” among their nine films together), director David O. Russell and actress Jennifer Lawrence (“Silver Linings Playbook,” “American Hustle” and “Joy”) and actress/rapper Queen Latifah with director Dee Rees. Reunions are also on tap for TV shows “The Simpsons” and “In Living Color.” Celebrating the 30th anniversary of “The Simpsons,” a screening of two episodes of the series will be followed by a panel of its creators and actors, moderated by Yeardley (Lisa Simpson) Smith. Twenty-five years after the finale of “In Living Color,” the launching pad for many notable careers (Jamie Foxx, Jennifer Lopez and Jim Carrey, among them) the show’s first episode will be screened, followed by a conversation with its creator and co-stars. For a complete rundown of the festival’s extensive offerings, click here.